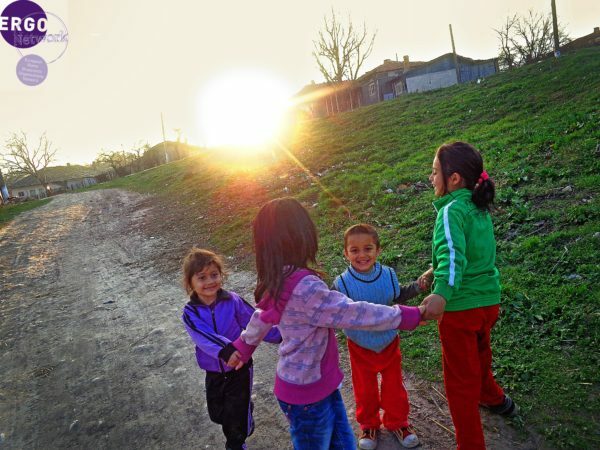 10 years ago 18 Romani children from Ostrava in Czech Republic received a positive verdict of the European Court on Human Rights, acknowledging that placing them in segregated substandard education for children with mental or intellectual impairments constitutes a violation of their human rights. This decision on the D.H. case on 13 November 2007 constituted a turning point for Roma children and their families in Europe, as for the first time a court ruled that segregation in education is unlawful. Still today, however, Roma children continue to be perceived as outsiders and intruders in European countries where they have lived for centuries and are often denied access to quality education. In Central and Eastern Europe, segregation mechanisms channel on average30 percent of Roma students into ethnically segregated and lower quality schools and classes. Gabriela Hrabanova, Director of ERGO Network, points out: “Putting our children into segregated schools is a direct manifestation of racism, deriving from the deeply embedded structural antigypsyism in the practice of authorities, institutions and society as a whole”. Segregation in education does not only seriously harm the prospects of Roma students who don’t receive quality education, are at greater risk of poverty and are stigmatised for the rest of their lives; it denies all children the benefits of diversity in education and the chance to learn from one another. Parents need to be better informed and mobilised in order not to send their children to segregated schools. ERGO Network calls on the European Union and its Member States to strictly follow-up on the infringement procedures for discrimination against Roma students launched against the governments of Hungary, Slovakia and Czech Republic and to step up their efforts to ensure equal citizenship of the 6 Million Roma in the EU. This can include a local ex-ante conditionality for accessing EU funds that will put in place local desegregation plans, continued civil society monitoring on the implementation of National Roma Integration Strategies and the use of EU funds and stronger efforts to combat antigypsyism throughout the EU. The European Roma Grassroots Organisations Network (ERGO) brings together over 25 (pro) Roma grassroots organisations from across Europe to empower communities, fight antigypsyism and achieve equal citizenship.